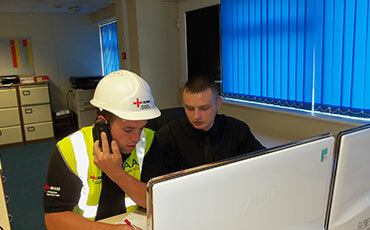 Niceic Tests Oldham Full Electrical Installations including design, installation and maintenance. Niceic Tests Oldham Rewires including partial rewires and upgrades. Niceic Tests Oldham Fusebox & Consumer Units installations and upgrades. Niceic Tests Oldham Lighting, mains voltage, low voltage, downlights & LED. Niceic Tests Oldham Sockets and & Lights installation & fault finding. Manchester Electrician Ltd are your local Electrical Testing electrician in Oldham, we can cover all your reports and paperwork. We can also carry out electrical maintenance to existing buildings, this includes inspection & testing (periodic inspection reports). electrical EICR Tests will carry out an electrical survey, known as a periodic inspection report (PIR) which will reveal if electrical circuits are overloaded, find potential hazards in the installation, identify defective work, highlight any lack of earthling or bonding and carry out tests on the fixed wiring of the installation. The report will establish the overall condition of all the electrics and state whether it is satisfactory for continued use, and should detail any work that might need to be done.